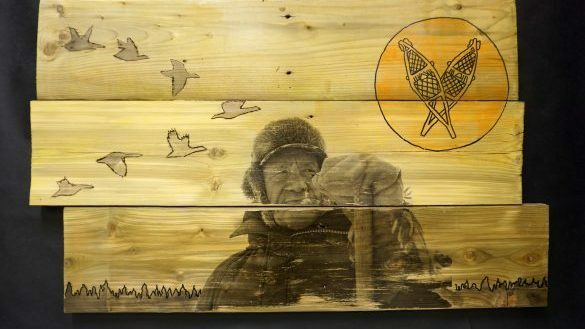 For their final project, the Waskaganish participants had to reflect on their legacy, what’s been passed down to them and what they wish to pass on to future generations. When Trisha Blackned didn’t feel like going to school, she found motivation in Mikw Chiyâm. “I would get excited to go to class and finish my art projects,” said the Waskaganish resident who participated in the arts program in 2015-2016. Mikw Chiyâm is a six-week interdisciplinary arts program that was commissioned by the Cree School Board with the aim of increasing students’ attachment to school through the arts. It is now operating in five schools in Eeyou Istchee. Junelle Moar (Age 14): Junelle’s artwork represents legacy using a portrait of her and her mother, Eliza Moar Georgekish. The passing down of Cree cooking is symbolized in Junelle’s piece with the teepee, moose and goose. She uses Cree Syllabics to represent her native language. The blueberries represent important moments in her life, such as her first time blueberry picking with her family. By providing a safe space where students can express themselves and learn from the artists in residency, Mikw Chiyâm has proved itself to be a vehicle of positive change by building self-esteem, empowering youth and strengthening cultural pride. The program hires local artists, as well as artists from outside of the territory. For their final project, the Waskaganish participants had to reflect on their legacy, what’s been passed down to them and what they wish to pass on to future generations. Most of them chose to honour someone who had a significant cultural impact on their lives. 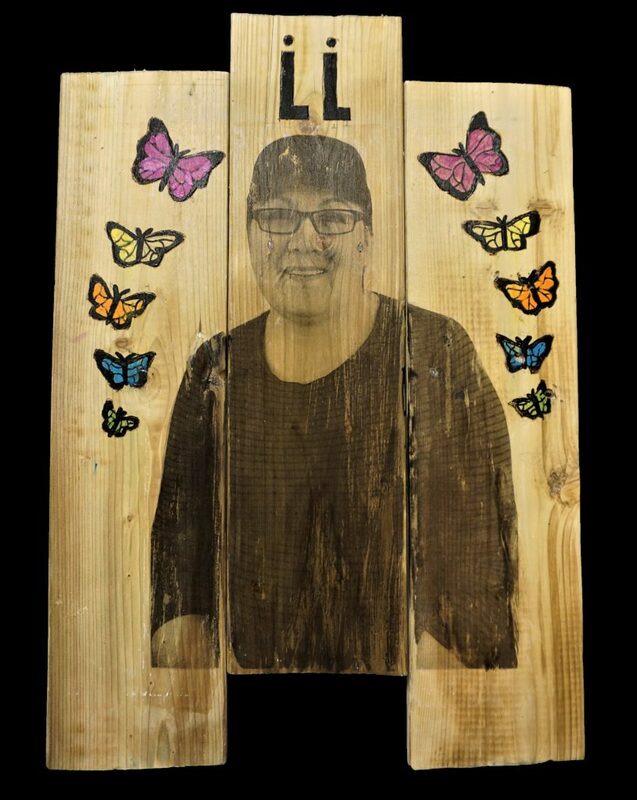 With the help of Shanna Strauss, a mixed-media visual artist based in Montreal, the students learned how to do photo transfer and wood burning on discarded wood they found in the community. Strauss often explores her own legacy through her art and honours family, under-recognized community members and stories from her homeland of Tanzania. “I wanted them to think of their own legacy, but also the legacy of their community of Waskaganish,” she said. A couple weeks ago Strauss discussed their final art project. “I was completely blown away by their artwork and how they embraced the theme and ran away with it,” she enthused. Delaine Hester (Age 17): Florence Elsa Erless is my mother. The cree syllabics I used mean Mama in cree. 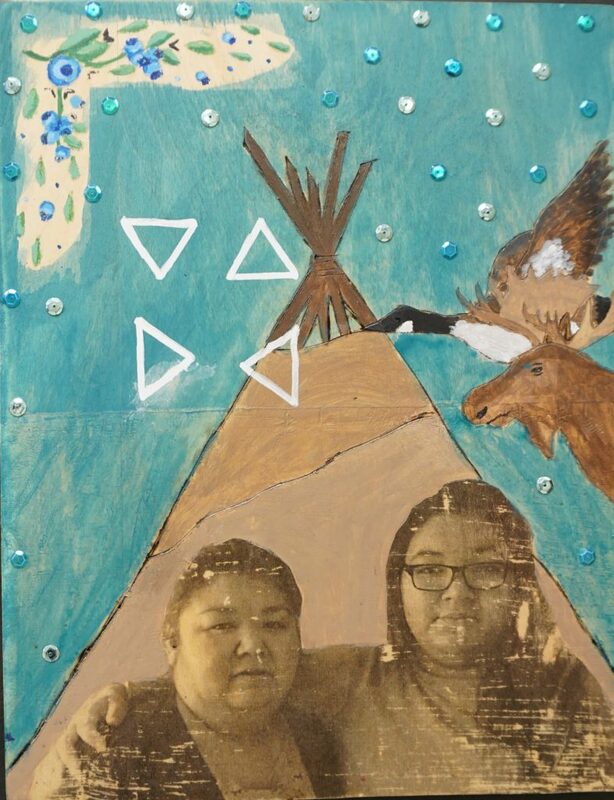 Beyond cultural references like siigabon, blueberry picking and snowshoe making, the students’ artwork reflects a deep gratitude for those who take the time to teach them about the land and culture. Jordan Gilpin (Age 14): Through this work Jordon honours his grandfather, Luke Diamond, who taught him many traditional practices like hunting, surviving, safety, and preparing for the bush. 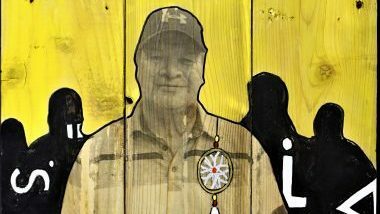 Alexis Beauregard (Age 13 ): Alexis’ artpiece honours Ricky Jolly, the cree cultural teacher at Wiibekuu High School who he has learned so much from. 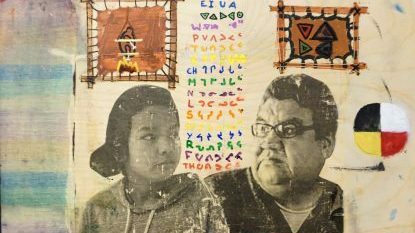 Stormie Diamond (Age 14): Stormie's artwork represents her legacy using her own portrait facing the portrait of her paternal grandfather, Billy Diamond. Another student chose to feature his Cree culture teacher at Wiinibekuu High School, Ricky Jolly. Even though the participants are teenagers aged 13 to 17, they are already aware that those who value knowledge transfer are key actors in the survival of our culture. Although the program was commissioned to improve students’ attachment to school, it also builds bridges between Crees and non-Crees. Strauss considers her art residency with Mikw Chiyâm as one of the highlights of her year. She went to Eeyou Istchee for the first time with little knowledge about Cree culture, but said she learned a lot through the stories shared by the students. As an artist, she feels that art is a great way to get students to show up to school and said she had no problem with attendance.